The Latona Fountain in the Gardens of Versailles lies in the Latona Basin between the Chateau de Versailles and the Grand Canal. On the top tier, there is a statue of the goddess Latona. The fountain is wedding-cake style, designed by Balthazar Marsy. In addition to the goddess Latona are her children Apollo and Diana. The second and third tiers of the fountain have frogs. 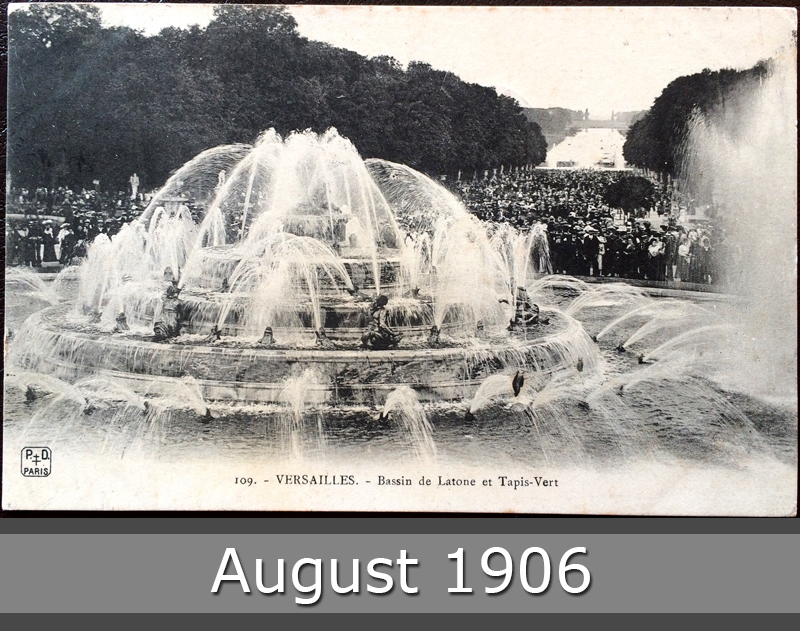 You can see this beautiful fountain in year 1906.